– It is better to travel ten thousand miles than to read ten thousand books. 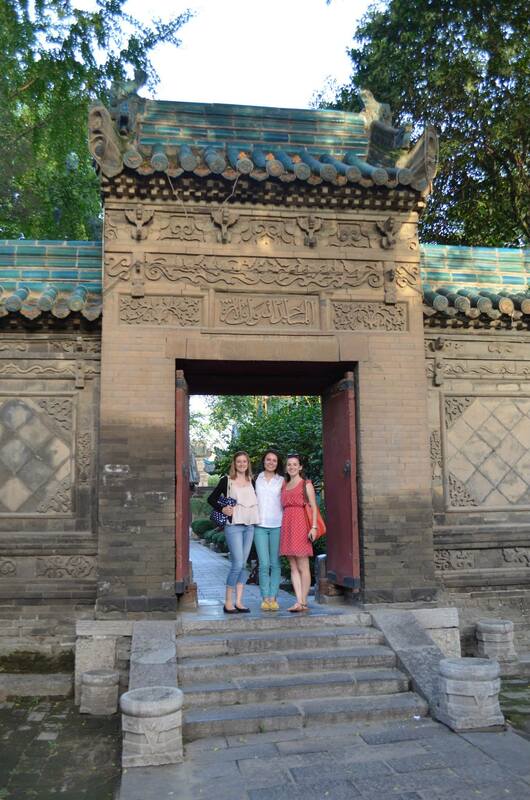 China enjoyed a National Day holiday in October to commemorate the creation of the PRC on October 1st 1949, and the four of us celebrated by going to one of China’s ancient capitals – Xi’an. 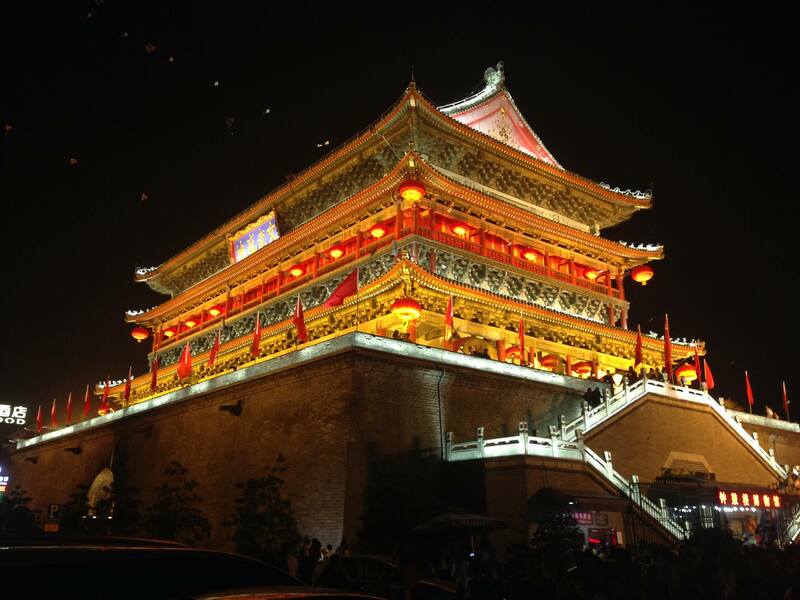 Xi’an is a beautiful city with reminders of its long and important history dotted within its ancient walls. It took us a mere 6 hours to travel there (at 300kph) on the bullet train but we weren’t able to appreciate its beauty until the next morning after our complimentary (and very Chinese) breakfast at the Best Western. 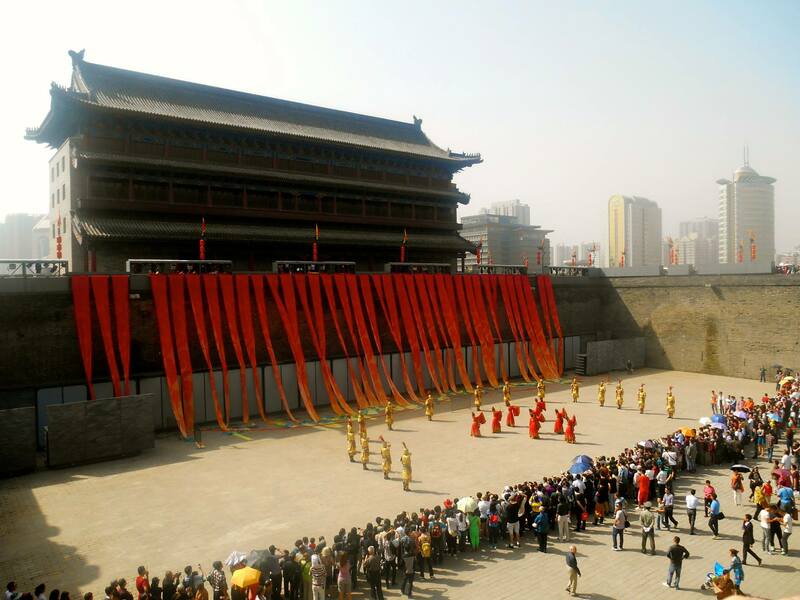 We planned to start our trip by having a cultural cycle around the 700-year-old city wall, but were instead greeted by a dance show that included break-dancing guards in golden armour, and ladies in silks dancing to http://youtu.be/uDyo6IAnbVY (this the song of the moment in China, and I have also shamelessly learnt a dance routine for this in an exercise class). It was hilarious, but hardly the introduction to the ancient city that we expected. 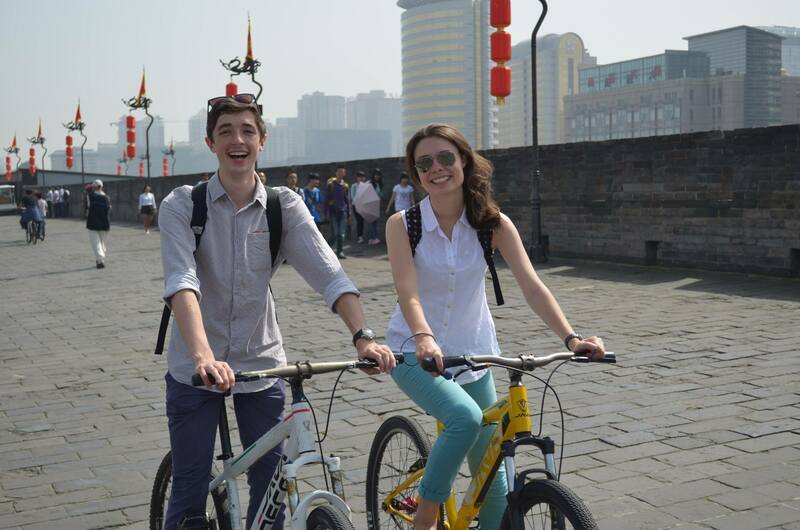 However, our bicycle ride was one of my favourite moments in China so far – although we regretted not going for the tandem option when we saw couples romantically peddling by, our moods could not be dampened as we enjoyed the hysteria of having some time out from the exciting but exhausting Beijing. 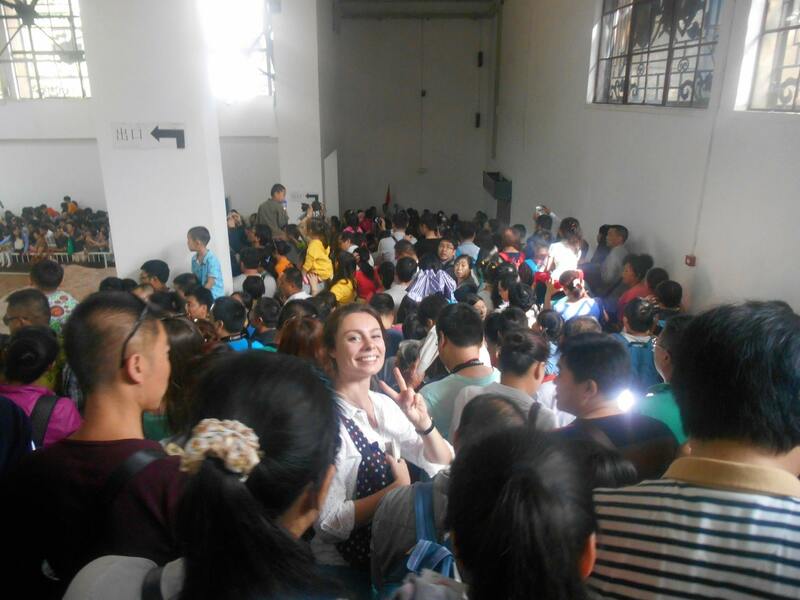 While cycling on the wall was a relatively spacious and private affair by virtue of its size (14km long and ~10m wide), we experienced our first (and sadly not last) encounter with the throngs of Chinese tourists making the most of their holiday in the underpass on our quest for the Bell Tower. 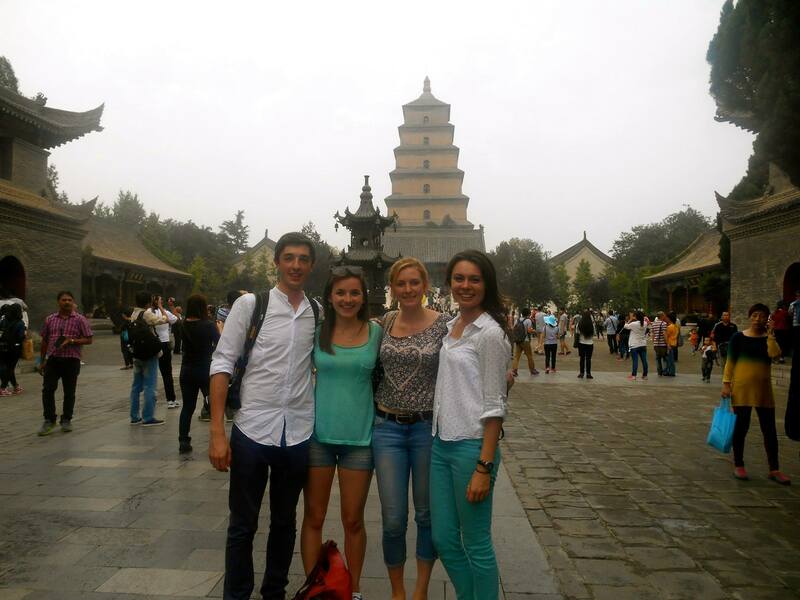 We gave up on this plan, and swiftly moved on to the Drum Tower, which was equally impressive and half as busy. The Muslim Quarter in which both the Drum and Bell Tower were located was where we returned for a dinner of authentic street food, after a more relaxing afternoon inside Xi’an’s Great Mosque. For those of you that know me, eating street food is fairly big news, but I can report that I came out of the experience with a new love for Muslim style Chinese food, and only a slightly dodgy stomach. This part of Xi’an is undoubtedly my favourite – we spent time haggling for postcards and arty maps in the labyrinth of markets, and found fleeting serenity in the aforementioned mosque. We regretted not bringing insect repellent, but braved the bites in order to spend as much time as possible in the shaded gardens, admiring the stonework and pagodas. 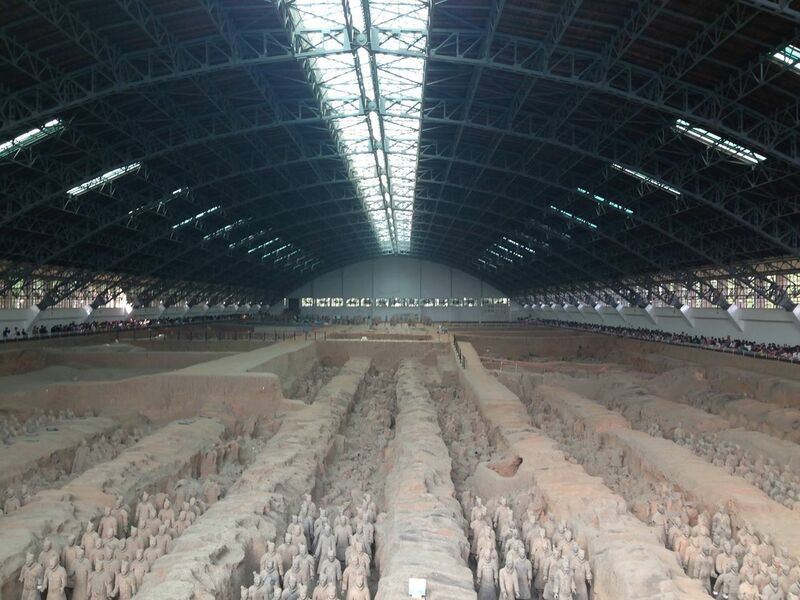 Yet whilst Xi’an is filled with little cultural gems, the diamond of their tourist industry is the site of the Terracotta Warriors and Horses, discovered 40 years ago in 1974. While Pit 1, housed by an aircraft hangar-like building, was truly remarkable, the crowds were quite unpleasant as we went with the flow of the human river, unable to move of our own accord. Pit 2 and 3 were less exciting, but we enjoyed the exhibits in the museum which included “Terracotta Warriors in Colour” and bizarrely, “The Etruscans – The Dawn of Ancient Italy”. The latter seemed like a coup for the Italian tourism industry, and we reminisced over murals of the rolling hills of Europe and pictures of Italian wine. 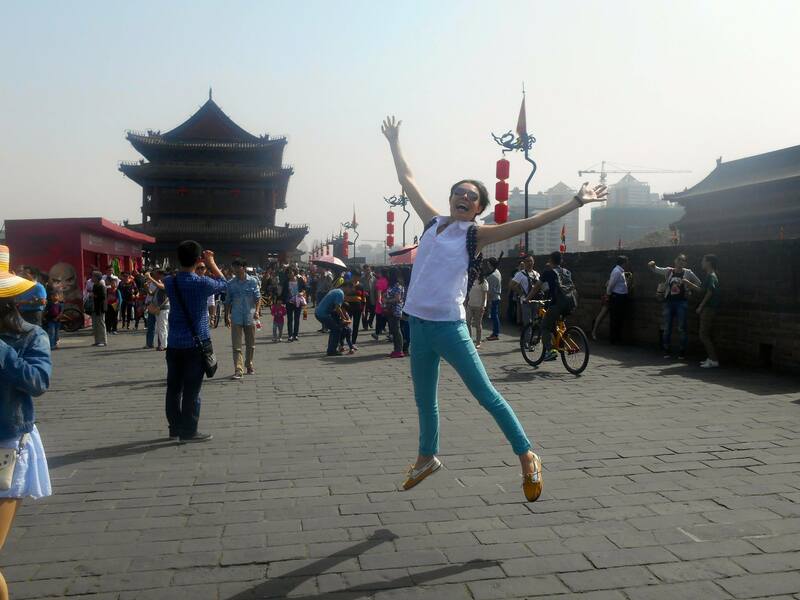 On our final day, we did a whistle-stop tour of the parts of Xi’an that we missed on the first day, including the Big Wild Goose Pagoda and the Temple of the Eight Immortals (the largest Daoist temple in Xi’an). While these were both places of worship, they could be have been more different. While in the grounds of the Big Wild Goose Pagoda we were accosted for photos no less than three times, we were the only visitors to the Temple. In fact, Empress Dowager Cixi had lived there at the start of the 20th century, which seemed very surreal after seeing its diminutive size and humble gardens. Whilst I would have liked to go the Shaanxi or Xi’an museum to learn more about Xi’an’s important place in the history of China, we unfortunately didn’t find the time on our three-day trip. However, due to the city’s proximity to Beijing I’m sure I’ll be back! Next time, we’ll rent a tandem.